Start and end in Kathmandu! With the hiking & trekking tour 16 Day Everest Base Camp Trek with Luxury Gokarna Forest Resort, you have a 16 day tour package taking you through Kathmandu, Nepal and 10 other destinations in Nepal. 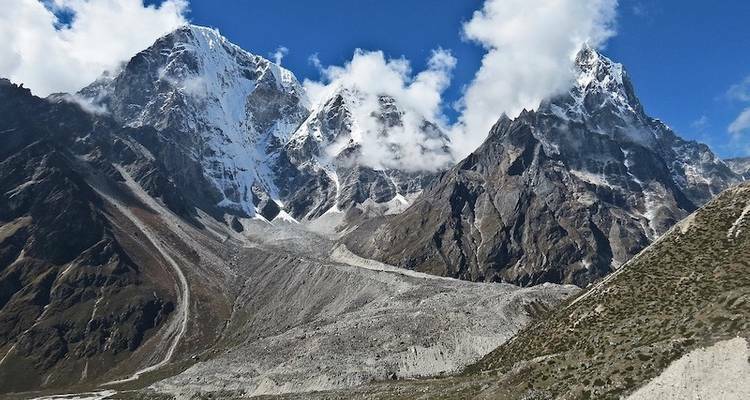 16 Day Everest Base Camp Trek with Luxury Gokarna Forest Resort is a small group tour that includes accommodation as well as flights, an expert guide, meals, transport and more. Day 04: Acclimatization day in Namche Bazaar. 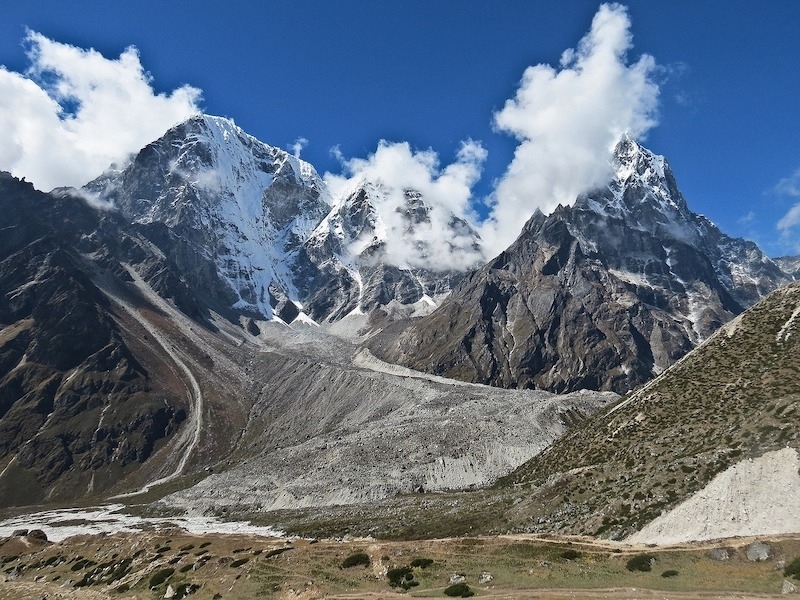 Day 07: Acclimatization in Dingboche. Day 09: Trek to Gorakshep (5160M) and hike about 2-3 hour to Everest Base Camp and trek back to Gorakshep. Day 10: Hike to Kalapathar (5545 M) and trek back to Pheriche. Day 11: Trek down to Namche. Day 12: Trek to Phakding. Day 14: Fly back to Kathmandu from Lukla. Day 15: Kathmandu Sightseeing tour. Day 16: Departure or Extra tour. TourRadar only requires a deposit of $99 to confirm this Himalayan Social Journey booking. The remaining balance is then payable 60 days prior to the departure date. For any tour departing before 18 June 2019 the full payment of $1,017 is necessary. No additional cancellation fees! You can cancel the tour up to 60 days prior to the departure date and you will not need to pay the full amount of $1017 for 16 Day Everest Base Camp Trek with Luxury Gokarna Forest Resort, but the deposit of $99 is non-refundable. If you cancel via TourRadar the standard cancellation policy applies. TourRadar does not charge any additional cancellation fees. You can cancel the tour up to 60 days prior to the departure date. If you cancel your booking for 16 Day Everest Base Camp Trek with Luxury Gokarna Forest Resort via TourRadar the standard cancellation policy applies.